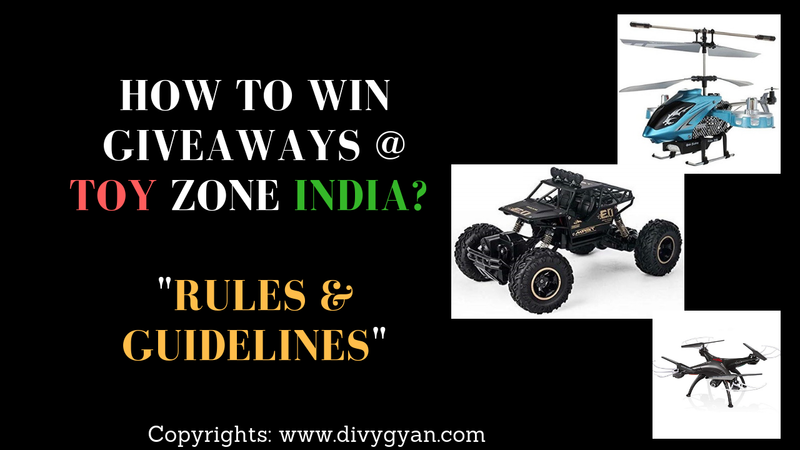 In this article, we will tell you or guide you on "How to win Giveaways at Toy Zone India". As "Toy Zone India" is a YouTube channel where you can find several toys reviews. On their channel, they provide an amazing view of toys. They do "Toys Reviews" on their channel and guide you to buy any toy. They do "Giveaways" of every toy they reviewed on their channel. We will guide you step by step to participate in Giveaways. Step4: Do comment on that video. 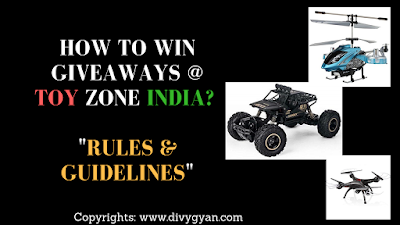 Note: Here on this channel "Toy Zone India" the commenting criteria is quite different. They had some guidelines for commenting. 1. Before commenting you will find a post or website link in their description box. 2. When you will click on that given post link you will be redirected to this website(www.divygyan.com). 3. You will find a post here. 4. You have to read that post. 5. Actually, they provide some questions in that post and you have to write these answers in the youtube comment section of that particular video. 6. Please don't copy the answers of anyone else from the comment section. You may be disqualified from the participation. 7. They change the questions every day. 8*. Please do a single comment. Multiple comments will help you to get out of from that participation. These are the question of the current giveaway. Q.1: What is the capital of Punjab? Q.2: Salman Khan is a_________? You have to write these answers in the comment section of that particular video. You have to share that following video everywhere you can i.e. WhatsApp, Facebook, Instagram etc. As the number of shares increase, your winning chances also be increases. Do as much share you can. Giveaway result of every video will be posted on youtube after 15 days of video upload.